Vallon Pont d'Arc is in the Ardeche department of the Rhone-Alpes, at the western end of the Gorges de l'Ardeche. 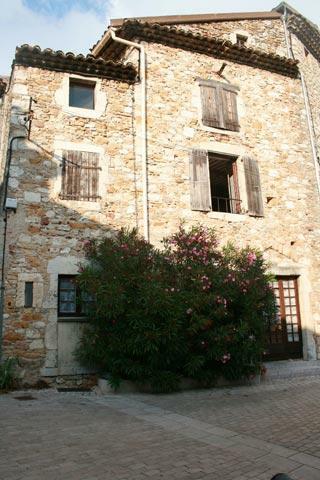 A quiet tranquil place in winter, the village leaps to life in summer when hordes of visitors wishing to explore the Gorges de l'Ardeche descend on the town. 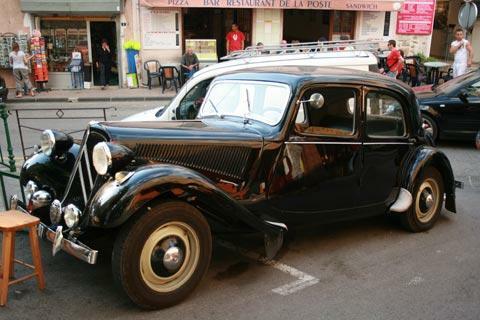 The town itself is a pleasant place to explore, with streets lined with old buildings, cafes...and tourist type shops. The Chastelas part of the town - the old town - is the most interesting from a historical point of view. Another monument of interest in the town is the Town Hall, a castle built in the 17th century and inside which you can see several Aubusson tapestries. See also the small belvedere behind the church of Saint-Saturnin. 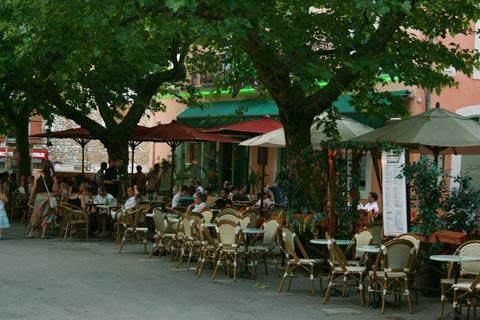 But in truth it is as a resort town that Vallon Pont d'Arc receives the most attention - the streets are bustling with cafes, bars and people, and it has a happy, 'people on holiday and out to enjoy themselves', atmosphere. It almost feels like a seaside resort, except the sea is nowhere to be found! France This Way comment: I found myself in the town by accident, having mixed up a hotel booking elsewhere and having nowhere else to stay. 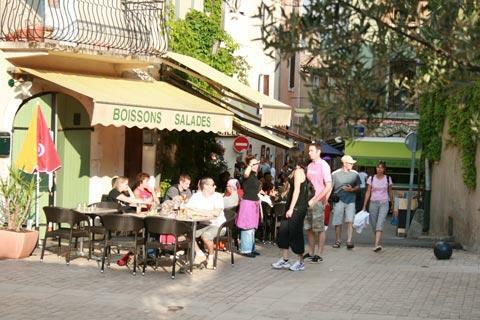 I'm glad I did, and if you are in the region and looking for a lively town with a wide choice of restaurants where you can eat outside, I am happy to recommend Vallon Pont d'Arc. 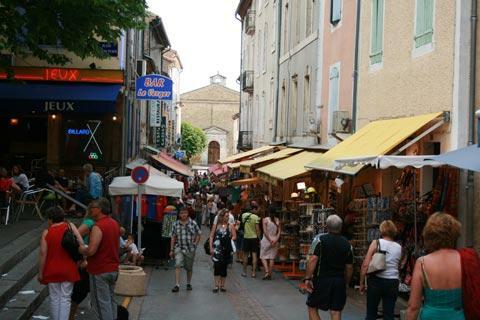 During the summer Vallon Pont d'Arc is always lively but even more so if you can visit during the weekly markets. The normal weekly market takes place each Thursday morning and a very popular night market takes place in the town centre each Tuesday evening (summers only). Of course, the main attractions in the vicinity - and the main reason why visitors stay in the town - are the Gorges de l'Ardeche and the Pont d'Arc itself. If you can tear yourself away from the gorges for a while, it was near Vallon Pont d'Arc that one of the very oldest painted caves in the world was discovered. It was 32,000 years ago that the Grotte Chauvet was inhabited and decorated with fantastic cave paintings. The caves were discovered in 1994. Unfortunately they can not be opened to the public (to avoid the same damage that took place to the Lascaux caves) but a copy and a museum dedicated to the caves can be visited and are an exceptional experience.